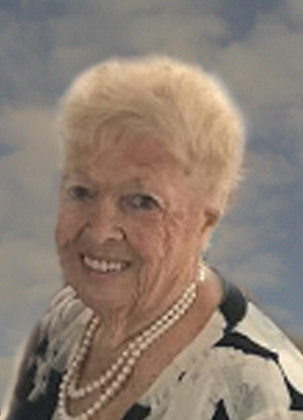 Doris B. Myers, 79, of Biddeford died Tuesday, April 2, 2019 at her home. She was born December 16, 1939 in Lowell, MA a daughter of Victor and Simone (Courtois) Carignan and was educated there. Doris had been employed with C.R. Bard, Inc. for 28 years retiring in 1990. Doris had been an avid bowler and an active member of York County Veterans Alliance. Celebration of Life Saturday, April 6, 2019 1:00 p.m. at York County Veterans Alliance, Bradbury Street, Biddeford. Services and burial will be in the St. Joseph Cemetery Chapel in Chelmsford, MA on April 15, 2019 at 11:00 a.m. Arrangements are by Hope Memorial Chapel 480 Elm Street, Biddeford, ME 04005. In lieu of flowers, donations in memory of Doris may be made to a charity of one’s choice. To share condolences online, please visit www.HopeMemorial.com.